A clean home costs time, effort and money, too—but there are ways to save when keeping your home looking good. In this video, Molly Maid of Greater Little Rock Executive Vice President Michael Silva-Nash appears on Fox 16 News-Little Rock to share money-saving tips to make cleaning cost less. Newspapers soak up juices from leftover food thrown out from your refrigerator and pantry. This tip eliminates the need to contain organic waste in expensive, plastic freezer bags. Just line your garbage with newspapers and throw the food away. Baby oil makes a great cleaner for stainless steel, and costs virtually nothing compared to those $7-$10 bottles of stainless steel cleaner spray. Use charcoal briquettes under the seats of your car or truck to eliminate odors. This eliminates the need for car air fresheners. Just make sure not to use charcoal with lighter fluid, which will make your car smell like fuel. Used dryer sheets. Re-use them as air filters! Place them inside the furnace/AC registers in your home to trap dust and keep your house smelling fresh. This reduces the time and expense of dusting your home, and reduces or eliminates the need for household air fresheners. Keep saving those used dryer sheets and use them as dusting rags for baseboards, blinds and TV and computer screens. 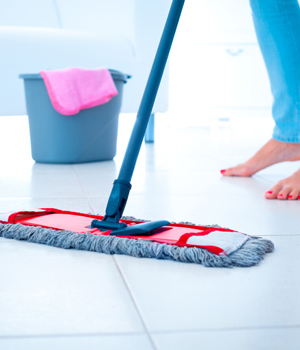 Their anti-static qualities actually repel dust, reducing the frequency of dusting work in your home. Use microfiber dusting cloths, which are fairly inexpensive. When you clean with them, you will need less cleaning solution to get the job done, helping your cleaning supplies last longer. Plus, they do a superior job trapping dust and dirt! Speaking of cleaning supplies, dollar stores are fantastic destinations for finding discounted cleaning products.